Mike Peters and The Alarm are pleased to premiere a new video for CENOTAPH, on Sunday 11th November 2018 at 11am, straight after the nation observes a moment’s silence during the British Armistice Day Memorial Service, to commemorate the 100 year anniversary since the end of the First World War. 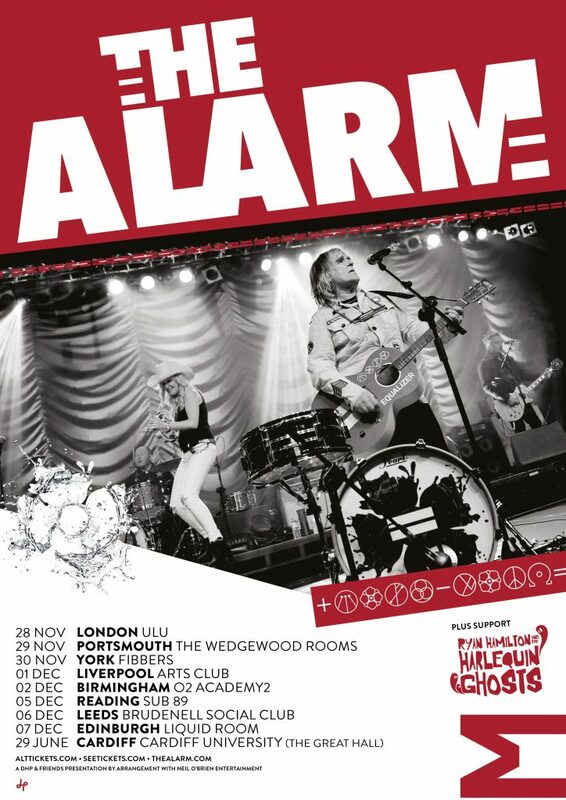 Mike Peters and The Alarm are about to head back to the UK for a brace of winter shows, starting in Central London at the University of London Union (ULU), Bloosmbury (Tottenham Cpurt Road Tube Station), on Wednesday, November 28th. 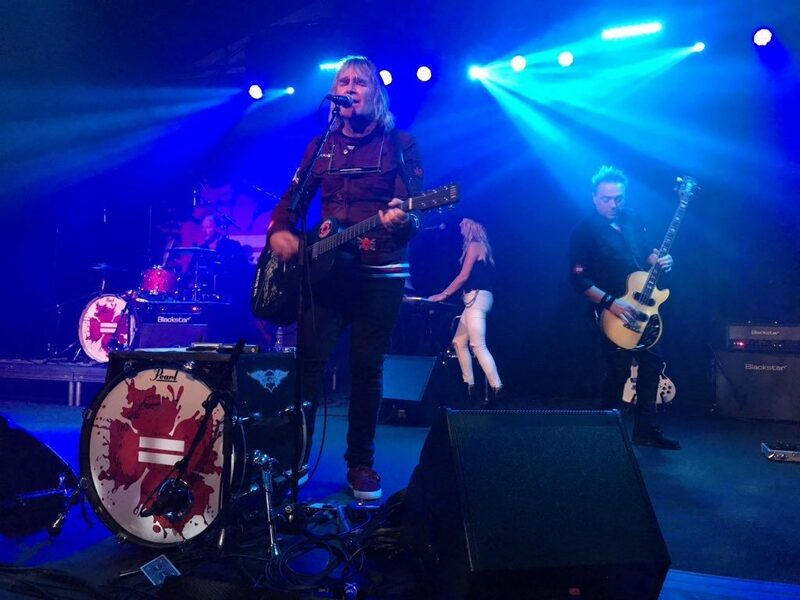 Prior to the UK tour commencing, Mike Peters will appear on The BBC ONE SHOW on November 24th, in a feature about The Alarm that was filmed in Rhyl, North Wales last month. 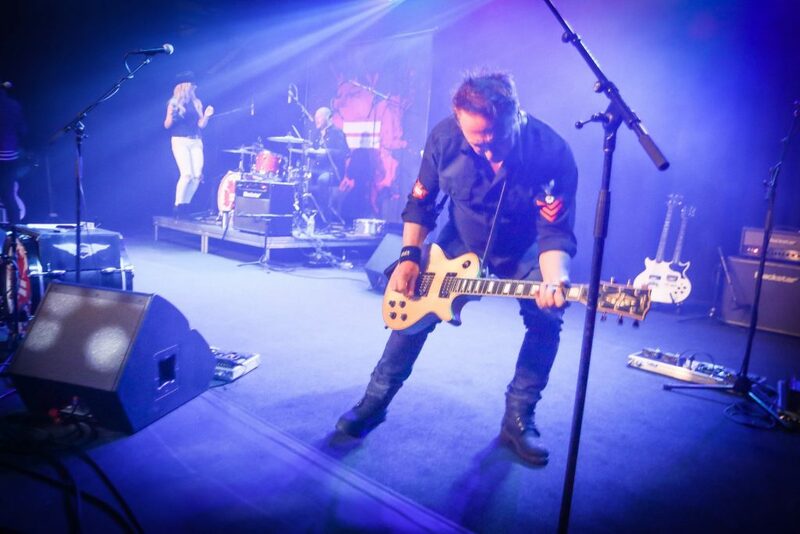 The film also features Gareth ‘Gaz Top’ Jones, and documents the story and inspirations that brought The Alarm’s classic song ‘Sixty Eight Guns’ into the world. US fans can also catch up with an interview and live footage film (made during the Hollywood Roxy Theatre concert earlier this the month), for the global CNN (Cable Network News) channel. The Alarm segment begins airing at various times in all of the US CNN regions from Monday. 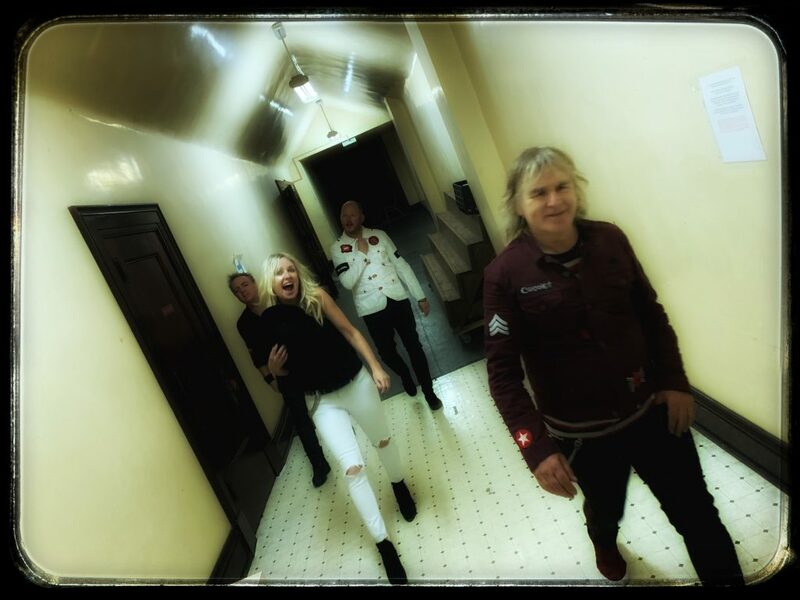 The Alarm are currently in the final week of a remarkable US tour (which has featured over 50 shows), generating rave reviews from coast to coast. The band will wrap up their stateside sojourn with a special ‘one off’ show in New York City, at the Mercury Lounge on Monday night, under the guise of the Poppy Fields, followed by a home run of Sell Out concerts at the Sellersville Theatre, PA then onto Boston, MA for an end of US tour event at the Brighton Music Hall, and a grand finale at the Horseshoe Theatre in Toronto, Canada to finish. 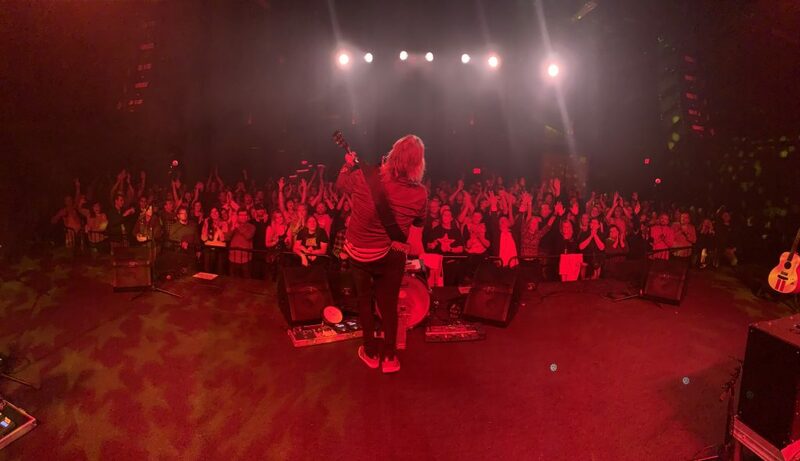 “We will be bringing our very best to the UK for the concerts in November / December,” said Mike Peters speaking from the group’s US Tour bus. 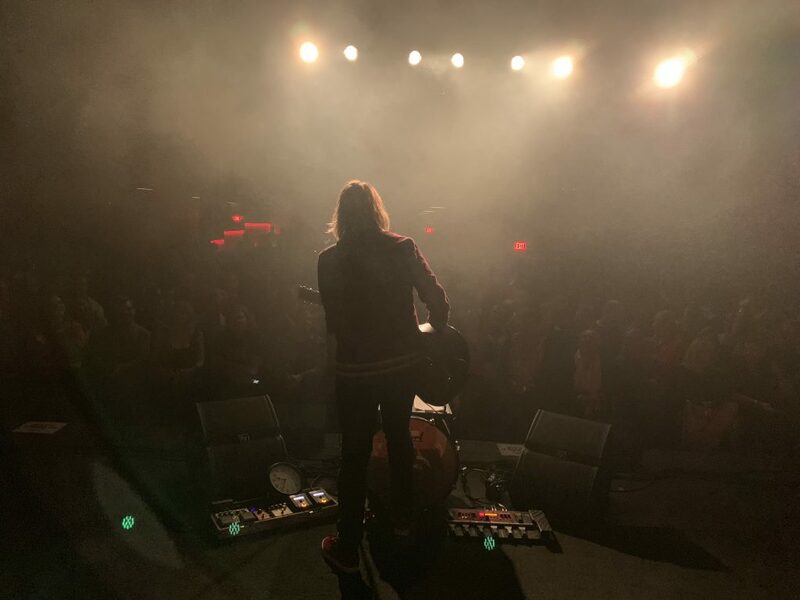 “It’s been an incredible last few months here in the USA and it is going to be really special to come back home to the UK and play for our British fans, especially as we now have the collective experience of playing some amazing shows during this North American Tour. We are looking forward to playing all the songs from Equals and the familiar classics too. The set list has been really well received here, and has something for everyone, including the unexpected. We are particularly excited to be playing at ULU in London as it’s been a very long time since I played on that stage (1982), and I’ve been told that the new refurbishments have turned it into one of London’s best new venues in a long time. The shows in Liverpool and Edinburgh will be amazing as ticket sales there are really strong, and so the atmosphere will be electric in both those venues, especially Edinburgh, which will be our last show of 2018. The two shows in Yorkshire at Leeds and York, although separated by almost a week will be intense, as we haven’t played there for quite some time, and I hear that the Brudenell is almost Sold Out already. Birmingham Academy is going to be another packed house as we always have a great night in the Midlands, and Portsmouth and Reading will be something else too. So don’t forget to come armed with playing cards and voices charged for singing….. it’s going to be a tour to remember, I promise”. PS: Remember to tune in to the alarm.com (at just after 11am), to view the video for Cenotaph that was recorded during the National Album Day recording sessions at Parr Street Studios, Liverpool .